How to send Ontology file to fuseki using java code? How to convert a classic multithreaded server to a java.nio non-blocking server? Is there any kind of module that allows me to render 3D game physics serverside? How can I tell Spring to use only one thread for each websocket connection? How to fix SockJS/STOMP error behind Cisco VPN in Spring Boot? Can some please suggest. Your help much appreciated. Apologies if this question is already answered, i have searched for while with no result. Hence posting. Does the Subject Alternative Name in your certificate match the Server Host name? Based on your updated comment, it means that client certificate is not in picture, so no mutual authentication, but only server certificate will be used by the client, and it will check if it trusts the server certificate which means the CA which signs the server certificate should be present in the client's trust store. If your server is accessible as a web-server you could try opening it via the browser and checking if it shows a valid certificate if you use https to access any resource/UI. That should at-least help in figuring out whether the certificate is properly configured or not. I have deployed the fuseki in Apache Tomcat and want to send ontology file from java code to fuseki. i use this (http://localhost:8080/fuseki) url to use fuseki. Is that possible to send file in fuseki which is deployed inside the tomcat and second if it is then HOW? I want to convert my current multithreaded blocking server to a non-blocking server. The server is used as an online game server (TCP) and processes data from multiple clients/players. I followed multiple tutorials showing how to make a non-blocking echo server, however I still don't know how to convert my current blocking server to a non-blocking server. My current server basically works like this: The main.java file accepts new client connections and creates a new thread (ClientThread.java) for each connection. ServerInformation.java creates a new game server which other clients can join. My current multithreaded blocking server creates a new thread for each client connection, would this be possible for a non-blocking server, because I don't know what to do with the ClientThread.java file otherwise. It would be great if someone could provide an example, tutorial, or code solution. Similar command line works fine in previous project, but there is no SpringBoot framework and JAR file is built by maven-assembly-plugin in that. However this project is based on SpringBootTest and generate jar file with spring-boot-maven-plugin. Notes: Running this command works fine, but no testng cases execution. I expect to execute testng cases based on generated JAR file. I am making a new game, about travelling from planets to planets, while attaching modules with a cursor to each other. Apparently, I can't find a perfect solution for the physics. What I am expecting from a physics engine is it's simplicity (takes around 30 min to code, not 2 hours or more), it's rigidness (powerful and non-location dependent), the ability to create a bunch of radial gravity regions (Each planet and the sun has a radial gravity, and no gravity between them), and rigid joint which disconnects on enough collision force (NOT weld joints). I am using this code in my react component for socket connection. But unfortunately my socket could not be able to connect to my server end point. I got table of stocks from a page. When you login to this page a websocket-connection is made. I want to read this info in to Python. I have copyed what Chrome tells me that the web-browser is sedning, and i try to replicate this in Python. websocket._exceptions.WebSocketConnectionClosedException: Connection is already closed. any idéas how i can stream this data in python ? I have two @MessageMapping methods in a controller. One of them does some initializtion logic, while the other one processes messages. After a websocket connection is created, the client calls the init end-point and then (almost immediately) two times the message processor end-point. As far as I know, Spring maintains two thread pools (for inbound and outbound channel) in order to parallelize the execution. The problem is the init method takes too long and it is necessary to run before the message processing method, but all the methods are executed concurrently. How do I tell Spring that it should dedicate only one thread for a websocket connection in order to run one method in one time? If there's no way doing this, any other suggestions are appreciated. I have already tried this suggestion, but it can only limit the whole inbound and outbound channel's thread pool, and I just want to limit for only one websocket connection. I use Spring Boot 2 WebSocket + SockJS + STOMP. I have JWT authorization when client is connecting in ChannelInterceptor in preSend method. In AuthenticationManager i trowing error if somthing wrong. 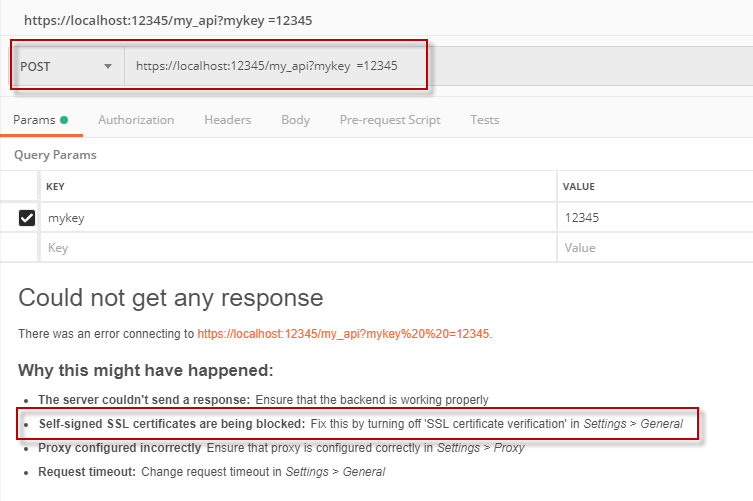 "message":"Failed to send message to ExecutorSubscribableChannel[clientInboundChannel]; nested exception is org.springframework.security.authentication.AuthenticationCredentialsNotFoundException\\c Invalid token"
How change the code to send error message with payload? WebSockets works fine through localhost:8080. WebSockets not working through mydomain.com but if I wait a while it ends up working (like 2 mins). Why the websocket does not work correctly (unless you wait a few minutes) through the domain when the server is connected to the VPN?